Edward graduated from the Royal Academy of Music with a Masters Degree in Music Performance having studied with Richard Addison, Martin Speake and Duncan Lamont. Since then, Edward has built an enviable reputation as a freelance saxophonist and educator. As a freelance musician Edward has performed in a wide variety of settings, both classical and jazz from big bands and jazz ensembles to solo recitals, quartets, orchestral and television work. Edward is always in demand as a saxophonist for his versatility and is well respected among musicians for his sound and approach. A passionate educator, Edward worked for nine years as saxophone and clarinet tutor at Wells Cathedral School before being appointed as Head of Woodwind in 2015. 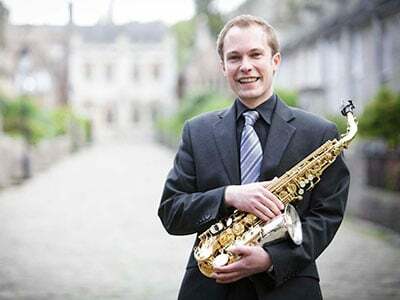 Edward’s extensive experience as an educator includes teaching the saxophone, clarinet, improvisation and jazz studies at several leading independent schools and for Kings College, London. In addition to this, Edward leads workshops and ensembles nationally and is a mentor for South West Music School.